One of the most exciting things about running a photography site is getting to know people from all over the world. 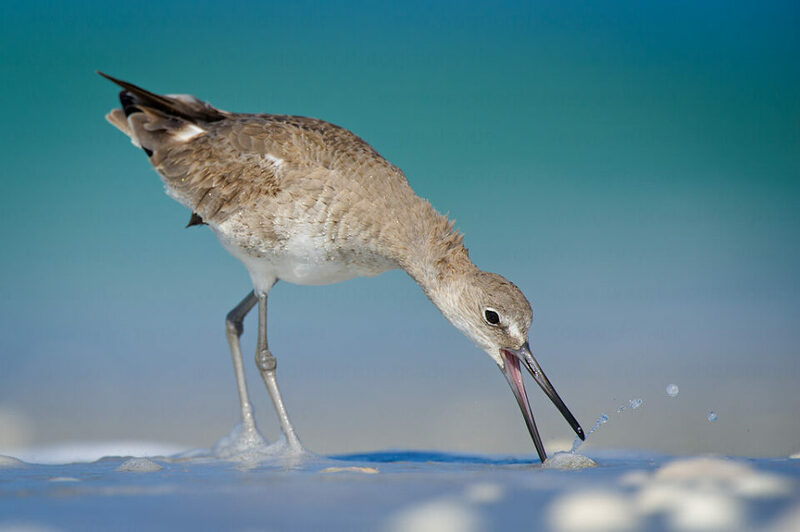 Holger Wagner, a nature photographer from Germany, contact me about two years ago on photographing birds in Florida. After reading my articles on how to photograph birds and my post on Florida birding near Orlando, he contacted me for suggestions and my favorite spots. After he came back from his trip, he sent me some stunning pictures that he captured in Florida. While browsing through his website, I checked out some of his other work and within minutes, I realized that I am looking at the work of a very talented photographer. I immediately emailed him again and asked to write a guest post, because I felt that his photography had to be shared with the photography community. Unfortunately, he got extremely busy with traveling and photography, so he did not have a chance to do it then. During the last two years, he kept on sending me his beautiful pictures. So a couple of weeks ago I sent another request and I was finally able to persuade him to write a guest post, along with some of his beautiful pictures. Enjoy! This is my first guest post ever and it’s an honor for me to write here. English isn’t my first language, so I apologize for any grammar mistakes in advance. My name is Holger Wagner and I live in Aachen, Germany. I am a professional photographer that enjoys nature and loves photographing landscapes and wildlife. I’m grateful to have had the opportunity to visit some of the most beautiful photography places in the world throughout my career. 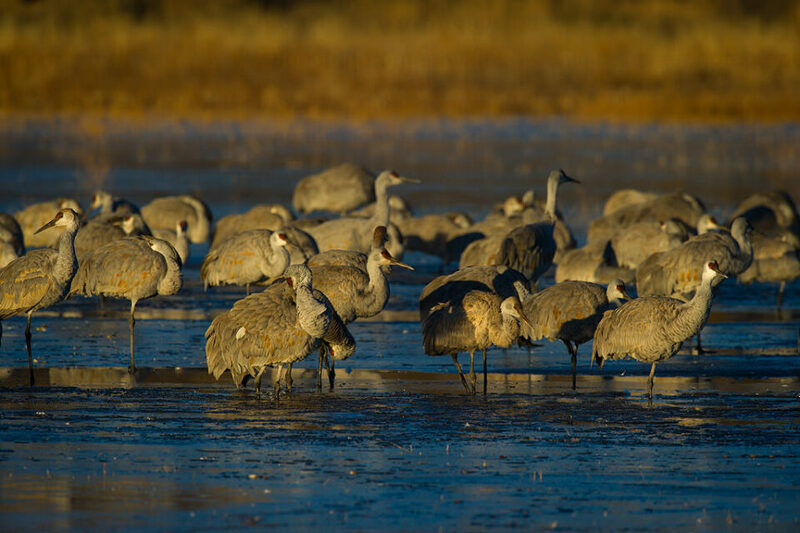 The US Southwest, with its breathtaking landscapes, Florida – a birders paradise, Iceland and Norway in Northern Europe are some of my most favorite places to shoot. My online research on how to capture birds led me to this informative site. Nasim not only shared some very useful tips in his birding articles, but when I contacted him, he was even kind enough to share his special and favorite destinations in Florida. This helped me so much in preparing my trips carefully and to come home with more “keepers” than I ever expected. What photography means to me is always to capture the beauty that surrounds me. It is the light, the colors, the composition and the mood in every particular situation. With my Nikon DSLR, I always shoot in RAW in 14-bit to get the best out of every single image. With that said, I post process all my images carefully. Subtle, yet significant, is my goal with each image. I always follow my own quote “Releasing the shutter button is just the beginning of a great photograph”. As photographers, we are all artists as well, whether we create stunning portraits, commercial, wildlife or landscape images. We live in this beautiful digital age that gives us all the tools we can try and find out what works and what doesn’t. It is all bound to our own taste and style, our own appreciation and interpretation of beauty. I’d like to show you a couple of my images here with some information and if you have any questions or comments, please feel free to get in touch with me. I would love to get some feedback. 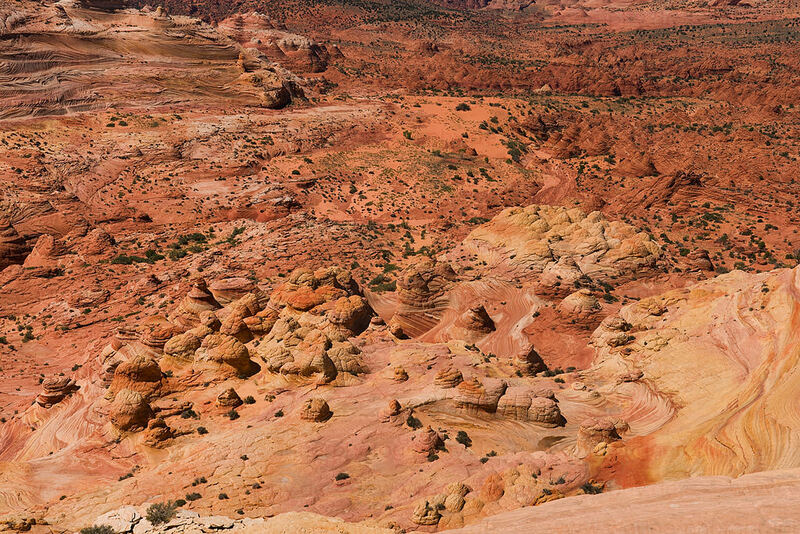 When I got started with landscape photography, I went to the beautiful Southwest region of the United States. 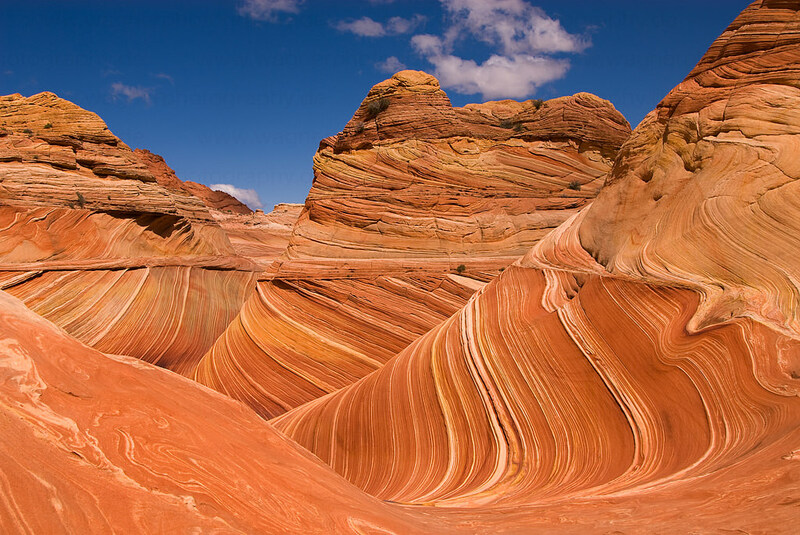 The amazing sandstone formations in Utah and Arizona are so unique, that I immediately fell in love with them. Until today, it is one of my favorite places for shooting landscapes. Shooting wildlife is often much more challenging than shooting landscapes, because most wild animals are very shy. But some will be either curious or won’t care if you photograph them. Here, I was photographing a pelican in Florida right at the beach. 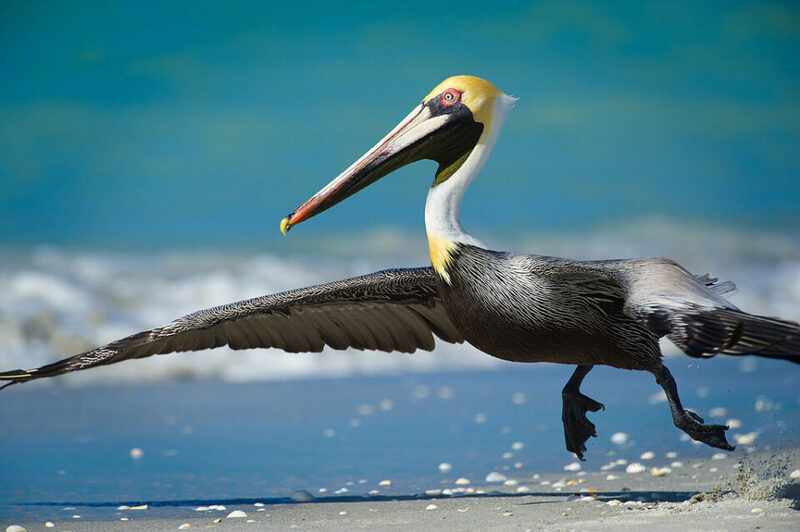 A man was fishing and the pelican tried to get something the easy way. It was a good opportunity for me, so I got in pretty close and the pelican did not seem to care. I laid flat on my belly to get this interesting perspective. Try to shoot in a dramatic angle to get more dynamic and more interesting pictures. When photographing raptors, hiring a guide can be immensely helpful. Here, I was shooting sea eagles in Norway. We had to go out by boat each day for a couple of hours in the morning and in the evening to capture these huge and majestic animals. Well-prepared with your equipment, you have to wait until an eagle comes and grabs the thrown fish. 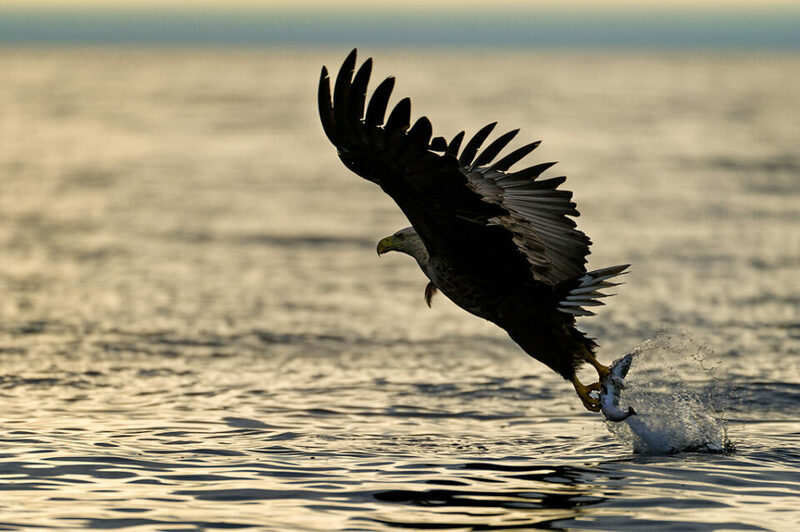 It happens within seconds, even if the eagle is sitting hundreds of meters away and observes you and the boat. This is a thrilling, indescribable once in a lifetime adventure! 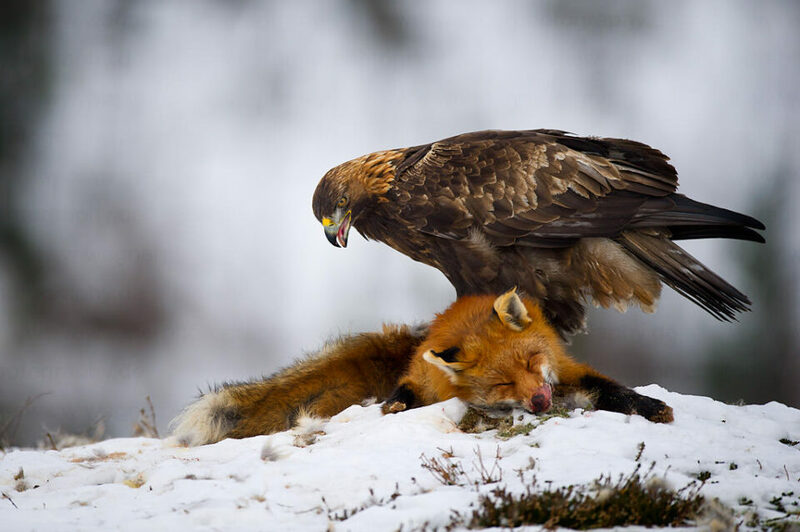 Capturing golden eagles needs serious patience and it is often only possible from a hide. Everything happens so fast, that it’s always a surprise. And because they’re extremely shy, you even hold the breath in the first moments. If you are lucky, they might sometimes stay for an hour or longer. You often cannot even move yourself inside the hide or they will fly away. They have eagle eyes! 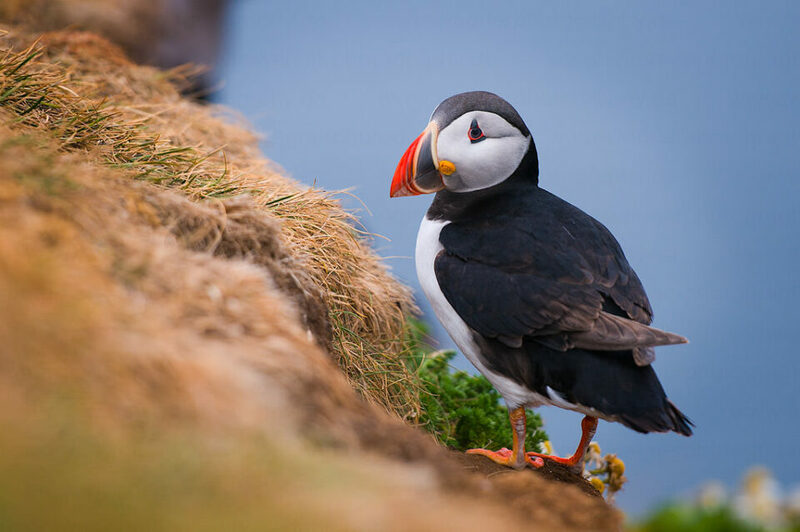 Northern Europe is also a great place for shooting landscapes and wildlife. 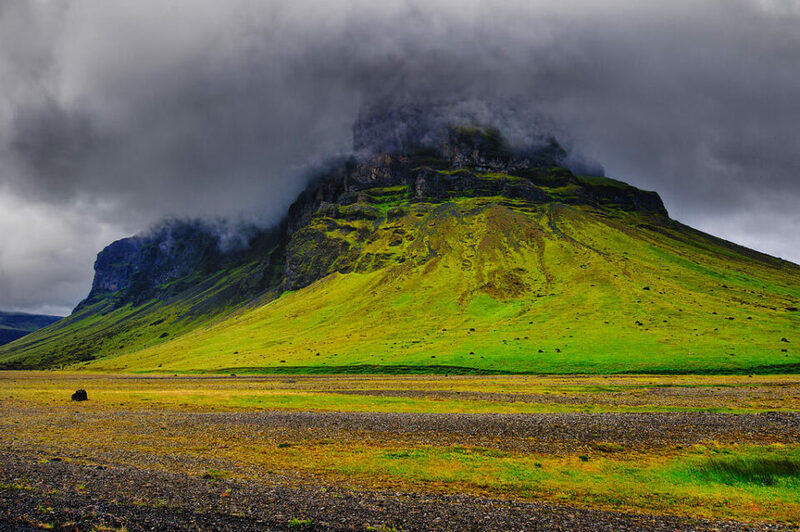 Iceland is one of the top destinations here. The weather kitchen of Europe offers spectacular landscapes and wildlife as well. 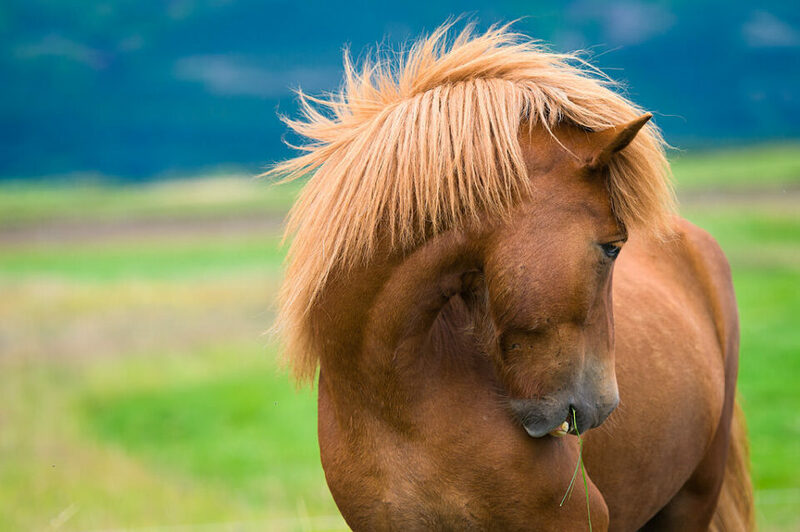 Even the Iceland horses, not wildlife at all, are great subjects to photograph. And during the mid summer time, ideal lighting conditions for photography are almost endless. I really appreciate the opportunity to write about my photography passion here at Photography Life. I’m sure that photography brings people together worldwide, cross-cultural and peaceful – and that’s the best thing of being a part of it. You can see some more amazing pictures by Holder Wagner on his website and his blog. His travel videos can be found here. Wow, what an amazing set of photos. Truly inspirational! Did you use a polarising filter for the landscape shots? thank you for the kind words. No, I didn’t use a polarizer. I always check my exposure carefully on spot and do everything else in post with adjustment layers for example. Hallo Holger, truly speaking: what a compelling shots, great job!!!!!! Please, let us know about the model of your Nikon and lens you used to take the pictures above. Well, I would like to underline that Nasim not only is a very skillful photographer but a person always willing to share his knowledge and experience in a way that even a toddler can get it. That is what all of his readers appreciate so much!!! thank you for your friendly comment and the words about Nasim. 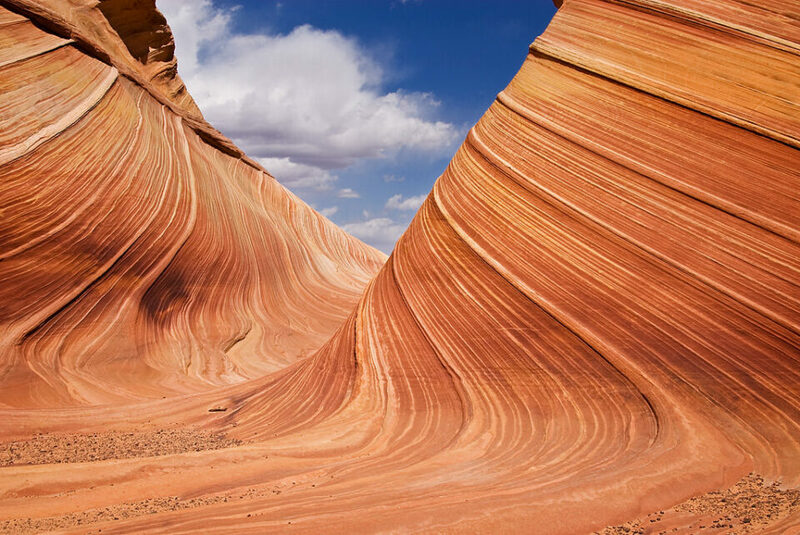 The images in the Southwest were taken with a Nikon D300 and a AF-S DX Zoom-Nikkor 12-24mm f/4G IF-ED. For the Florida birds I used a Nikon D3s and a AF-S NIKKOR 500mm f/4G ED VR. 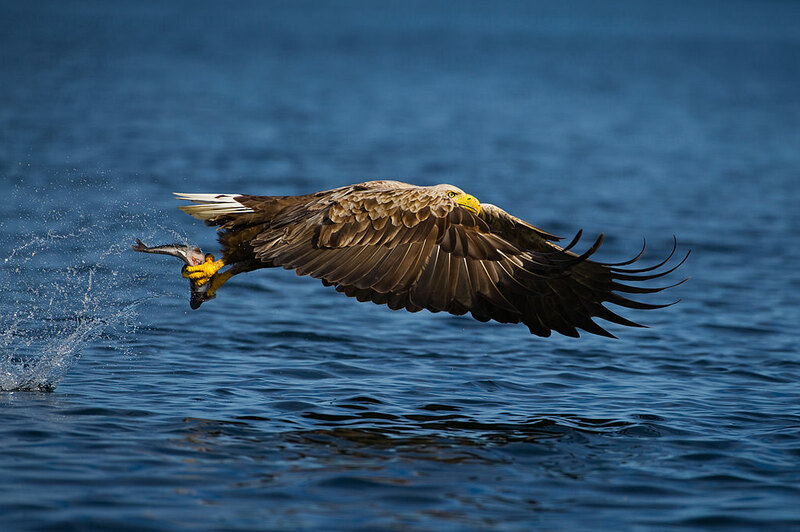 The sea eagles in Norway with Nikon D3s and AF-S NIKKOR 200-400mm f/4G ED VR II for more flexibility in the boat. Golden Eagle with Nikon D3s and AF-S NIKKOR 500mm f/4G ED VR. Iceland Landscape with Nikon D300 and AF-S NIKKOR 14-24mm f/2.8G ED. Iceland Horse and Puffin with Nikon D300 and AF-S NIKKOR 70-200mm f/2.8G ED VR II. thank your for taking your time to answer my questions!!!! It seems good pictures demands good photographic gear too. At the end of this year I will purchase a FX camera. I agree. But sometimes it’s hard to make a decision because of the short cycle times these days. I wish you a good choice. Stunning pictures! Thanks for sharing this post. thank you and keep going your great work here. Holger, very nice pics. Congrats. thanks and have fun and always good light. Pics are really great. Thanks for posting. Very nice images indeed. Would like to hear from Holger what equipment he used in those shots (lenses and filters). Please look above the other comments, where I described the equipment I used. Holger, thank you so much and a trip down memory lane for us as we watched your “Sea Eagles” video extract. We visited the Stappen Island reserve near Gjesvær in June 2010 and saw my first Sea Eagle outside Scotland, in fact dozens of them. The sea was carpeted in Puffins, Gannets and Cormorants were diving and the Sea Eagles were out hunting. It is true, after 3 trips to Norway and the Arctic is a wildlife pot of gold. Brilliant Images, great article and it made our day. thank you so much for the kind words and your email as well. I guess you live in Scotland? A beautiful country to photograph. I’ve checked the galleries on your site and just have to say “great” Richard. Thanks Holger, I try achieve good images with fairly low grade long lenses. I live in Wales, not Scotland, home to the Red Kites, but just as beautiful on a smaller scale. thanks for letting me know where you live. Indeed a great place as well! And in terms of lenses and equipment we should never forget that cameras don’t make pictures, people do. Indeed true!…what a great photography skill. 1)what is for you the real advantage about 14 bit vs 12 bit? 2) if it’s possible to share some tip of your post production. 1) I’m not a technical expert but 14 bit offers some more information than 12 bit. More dynamic range. You will have more details in dark areas. I’m always about the maximum in quality. My Nikon DSLR gives me 14 bit, so there’s no question for me. 2) Currently I start in Adobe Photoshop LR 4 in the Develop module with all my basic adjustments Exposure, White Balance, Shadows, Highlights depending on the image. In LR4 it’s great to use the Graduated Filter if it’s needed. It works really great. I crop in LR4 as well but only subtle because I prefer to “crop in camera” when I frame my shots. Than I finish in Photoshop with adjustment layers and finally sharpen for output. I use the Smart Sharpen command. For the Web try to start with an Amount of 200 and a Radius of 0,5.
many thanks for your kind comment. I like your closeups and the portrait of the young girl at the phone booth. Keep going your passion. Have fun with your photography. thanks for your compliment. Im so excited about all of your comments here. Holger, Thank you for the fine post and for sharing the images. I really enjoyed your website – lots to love there! thanks for taking a look on my sites. You bring it to the point. Photography is all about love. There is nothing to add. Incredible images. Thanks a lot. Magnificent images and so glad Nasim go you to write a post here. Thanks for responding to queries (from others) about the equipment you use. I agree, for birds, that getting close to the subject is vital for good images. 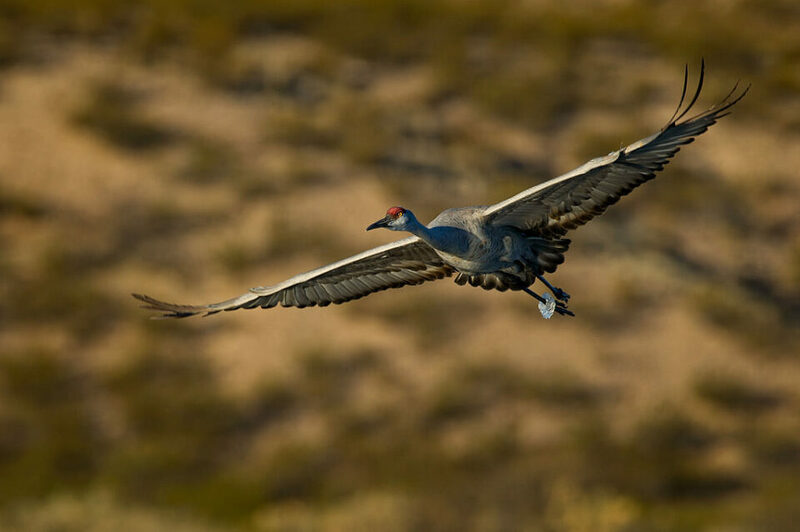 I am always touched when a bird in the wild will allow a close approach. Amar, I so agree with you and Holger and after too many months stretching my long lenses to the limit, I finally realised how important getting closer is! Stunning photographs , you have captured the birds too, very well. And though you are not a native English speaker, you can out-pass many, in your impeccable way. thank you for your comment. Nice to hear that you like the images. The conversations here help to improve my english. But I never want to be perfect. Mistakes keep us all humanly. Even in photography. I just love what I do. I am all Stunned seeing the pictures and no words to describe. All I can do is SMILE. An ART ! Thanks Holger and Nazim for inspiring us. nice to read that so many people love the nature and wildlife on our planet. All the readers here have quite obviously a big heart. Makes me happy. Fabulous article and some really awesome shots! Have fun with your photography and always good light! nice if you like it and thanks for a comment here. I’m sure we all make great images in any kind, because we love it! Lovely pictures and nice stories behind them! 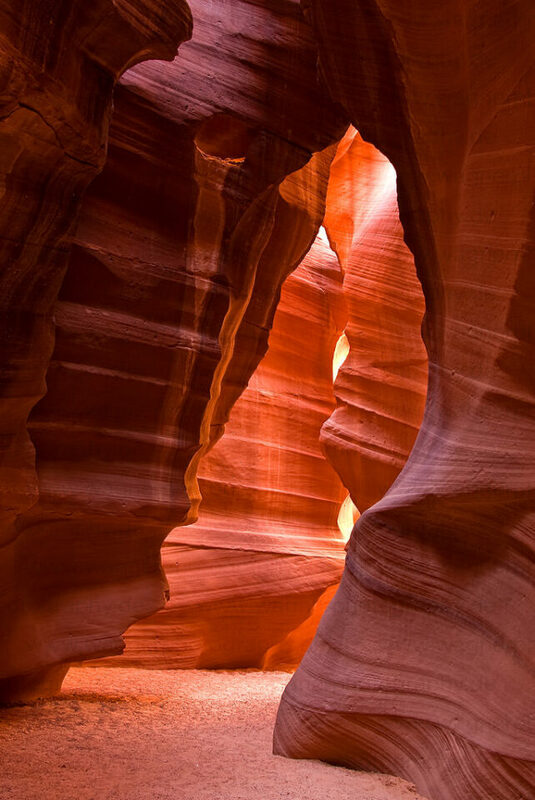 I have never made actual trip only for photographing, but it totally seems to be worth it. I guess it’s inspiring to travel new places and find something truly different from those objects that you can find everyday from where you live. Thank you for sharing these pictures! Thank you very much for your post and your photos. Could you give me some advice about the proper settings to shoot birds flying fast (aperture or shutter speed priority, type of focus, etc) ? Once I tried a new “Zeiss” polarizing filter and I had some problems, like some annoying dark lines across the sky in my photos (the lines where sometimes horizontal and sometimes curvy). Really that undesirable effect ruined some of my pics, specifically those without clouds in the sky; so now I’m afraid of polarizers and unfortunately, still today, nobody gave an explanation about what happened. Did you go to Peru ? Over there you have amazing landscapes and also wildlife. Best wishes, Jorge. – To be honest, it also depends on your camera’s focus system. That’s why I like Nikon. Regarding your polarizing problems I fear that I can’t really help. I never used one. I only use UV-Filter to protect my lenses. Sorry. Peru has amazing landscapes , no question. As photographers we see the world different, isn’t it? Beauty is everywhere. We just have to look on it. Sometimes even in our backyard. Thank you very much for your answer Holger. I have one more question, Do you use teleconverters, and if not, why ? Best wishes, Jorge. I use the AF-S Teleconverter TC-14E II with my AF-S NIKKOR 500mm f/4G ED VR and with the AF-S NIKKOR 70-200mm f/2.8G ED VR II. It works great and costs just one f-stop. Thank you, Holger, for your kind advice. 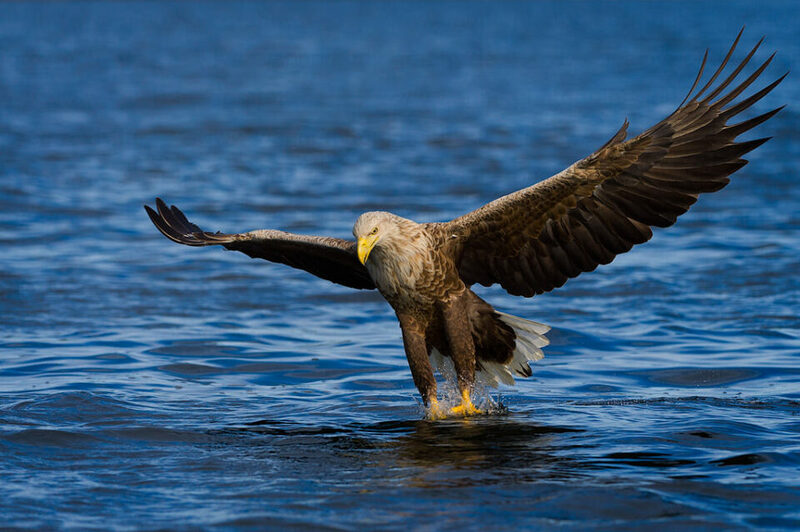 The Norweigian fish eagle is sublime and breathtaking! From the front angle, it is so huge and powerful-looking as to resemble a human! Love the shot! I am headed to Zimbabwe later this month to shoot wildlife there… hoping to see wild dogs and hundreds of elephant, among other glorious creatures, including birds. Any advice for large game that isnt moving fast? Want to get shots that are beyond the normal. Shooting with D700/ Nikon 300 mm f/4 with 1.4 TC for the far stuff and 50 mm f/1.8 for landscapes/portraits. Thanks again! thank you for the kind words about the images I posted here. I like your thoughts about the sea eagle! For your trip to Africa your choice sounds great. Try to get as close as possible if you can. Distance always counts. Get the close headshot with your “420 mm”. And as always in photography experiment with composition and angle. Maybe silhouettes with the elephants during sunset. Crop “in-camera” to keep as much from the image as possible. In addition I always use an “ultra” wide-angle to capture landscapes. I like dramatic skies before or after a thunderstorm. But I have no idea about the weather conditions at that time. I wish you a safe trip and much fun and send me a link to your images. Please could you explain me wich is the difference between the “crop in camera” and the crop in post-processing ? In my D700 I can crop my photo after I took it, but they offer me only one possibility to crop. A shorter frame is appearing, and I can move the frame to get the composition I want, but I can not change the zise of this extra frame. Greetings, Jorge. sorry for the misunderstanding. What I mean is, I always care about what’s in the frame before I release the shutter, composition-wise. I print on a large-format printer, so it’s essential not to crop too much in post processing. I was in Namibia some time ago. I went with my D700 and some lenses, but my longest combo was a 70-200 plus the 1.7 Nikon TC. I knew it would not be enough for wildlife but I didn’t have more. When you shoot wildlife in Africa any zoom is going to be short in many circumstances, so the best is to take the longest zoom you can. If you could rent something longer that what you have in mind it would be great. To use your combo on a D7000 (DX) is another alternative to get more reach. Greetings, Jorge. Thanks guys! I should have mentioned that I have shot African wildlife before, in Kenya, Namibia (incredible, right Jorge??) and last year, Mozambique and South Africa. You would be surprised at the shots you can get with so-so reach when the game “cooperates ” Up until now, I’ve been shooting with a plain old D40 and a Nikon 70-300 f/5.6! I’m excited to finally have an FX body with faster glass. I was primarily picking your brains for creative inspiration. I want to come back with art- not portraits of wildlife. so, I did more landscape pics. Best wishes, Jorge. big thanks to Nasim as well for providing this wonderful opportunity for knowledge sharing. What I could read between the lines is that you’re passionate. And believe me, that’s the first big requirement. It’s much less about the gear than about the photographer behind. With a big heart and much love we all can move mountains. I’m sure you’ll be happy with your photography. Never give up to practice, the good results will follow much earlier than you might think. Invest in very good lenses. Bodies however change each 2 years. At least to me it’s all about the glass, Vasanth. Your images are wonderful! I am fortunate to live on Florida’s Gulf coast and you are correct to say it’s easy to be overwhelmed, not only by beautiful landscapes, but by nature’s beauty everywhere you look! I only began photographing a few months ago and have a lot to learn. For giving me inspiration, I say – “Danke”!! These images are beautiful! You have great tips here for landscaping photography. I love all of it. I live in Ottawa and there isn’t much to capture, but maybe I should just try seeing it in a new way and utilize some of the things you guys suggest. Thanks so much! I’ve got a question. I’m planning a trip to california and visiting all the national parks to photograph wildlife and whales. I am also planning to buy a new camera and a lens from Nikon or Canon, because Pentax haven’t got that manydifferent lenses (I use a Pentax Km, the sigma 150-500mm and the sigma 50-200mm) and I want to go more professional. I already know wich camera I should buy if I go for one of these brands. If I go for Nikon, I would buy the d7100 and the canon would be the 70d. But I don’t know wich telelens to buy for one of these. Are the animals in the national parks far away or can you shoot them with landscape with a 200mm? Please help me? i love the photos. this is what i want to do for a living. one thing, do u enjoy where u go? Thank you for Wonderful Post. Awesome Pics.